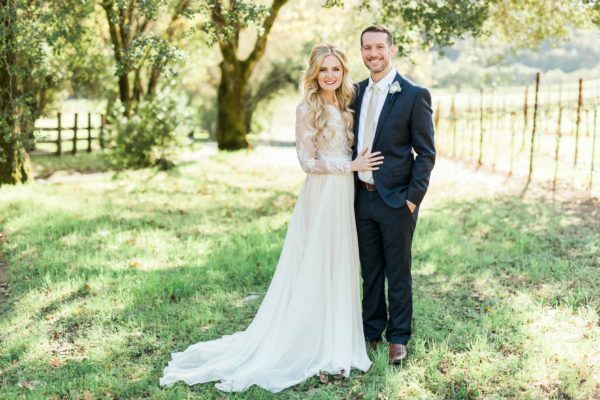 Trina and Trevor had their gorgeous Lodge at Sonoma wedding on February 16th. We love working at The Lodge at Sonoma; the venue is beautiful, the staff is awesome and the in-house catering is yummy! 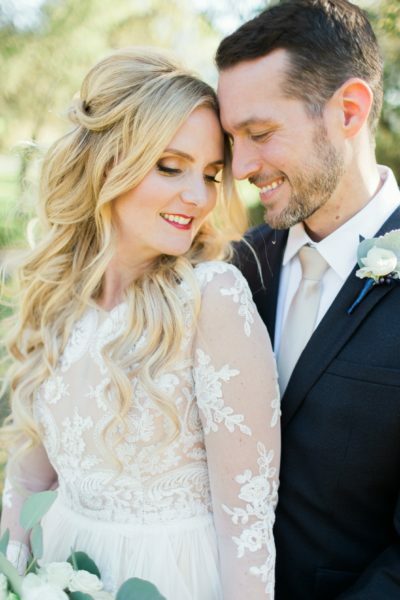 We also worked with other amazing vendors for Trina and Trevor’s wedding. Krista from Krista Marie Photography captured the once-in-a-lifetime moments and Angella Floral Design created the stunning floral arrangements. Their Lodge at Sonoma wedding ceremony began at 5 pm with the Mother of the Bride, Mother of the Groom and the wedding party walking in to “Into the Mystic” by Van Morrison. Trina’s processional song was Canon and Gigue in D Major. Trina and Trevor chose Marvin Gaye’s “Ain’t No Mountain High Enough” to exit as husband and wife. A mix of Motown and soul music was played for the cocktail hour; guests then welcomed the new Mr. & Mrs. into dinner with TNT – AC/DC! For their first dance together, Trina and Trevor danced to “In Your Arms” by Chef Special, performed by best man Josh on the keyboard. Afterwards, Trina and her dad danced to “Your Song” by Elton John, and then Trevor and his mom dancing to “I’ll Be There For You” by Bon Jovi. Josh did a phenomenal job on these songs! A mix of classics were played throughout dinner; The Eagles, Coldplay and Chicago. Onto the dance party!! The floor was packed, especially when Toto’s “Africa” came on. For the cake cutting, James Taylor’s “How Sweet It Is” was played and then it was back to the dancing! By the end of the night there were happy faces and sore feet. A good time was had by all at Trina and Trevor’s Lodge at Sonoma wedding! Congrats Trina and Trevor!! Thank you for letting us be part of your beautiful wine country wedding. Cheers! Interested in having a packed wedding dance floor? Then contact AMS Entertainment by email or phone at 707-823-7359. What a great experience! My son’s wedding went off without a hitch and a lot of that is thanks to Alex! From booking with AMS to the very last dance, Alex and the team at AMS were AMAZING! The music was perfect and EVERYONE of ALL ages danced the night away! Thank you Alex and AMS!! !